Club Staff: Scott Munn, Sally Freedman, Melanie Price, David Harris. FRG Members: Bridget, Steve, Luke, Angus, Joey, Steve, Chris. Club Staff: Nick Becker, Luke Wyman. In the wake of recent media coverage relating to banned fans, this month’s FRG meeting commenced with Scott Munn providing an update on related issues. Scott was clear that MCFC is conscious of two main foci: protecting the privacy of staff and members, and providing a safe and welcoming environment at matches. 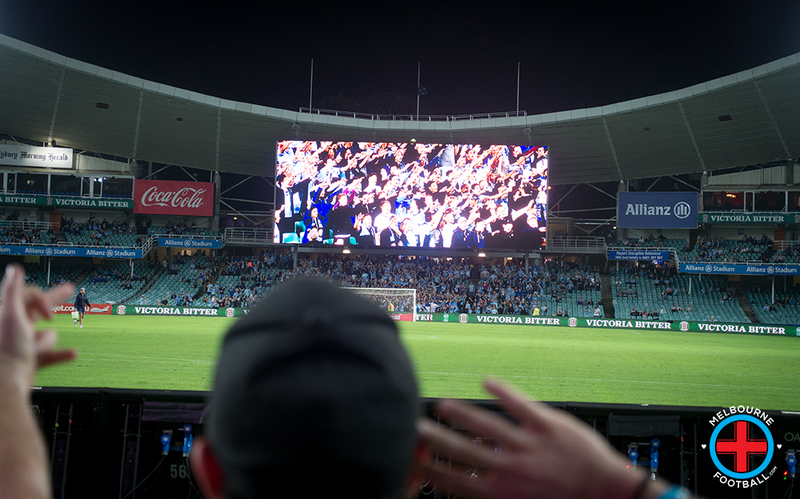 Scott advised that Sydney FC’s Active fan group, the Cove, has met with the FFA, raising issues relating to the disclosure of personal information, venue safety and security, and treatment of Active supporter groups. Scott encouraged FRG members to read the Cove’s note regarding this meeting, which was posted online today. Scott also advised that a FFA representative was prepared to meet with the FRG at our next meeting if desired. 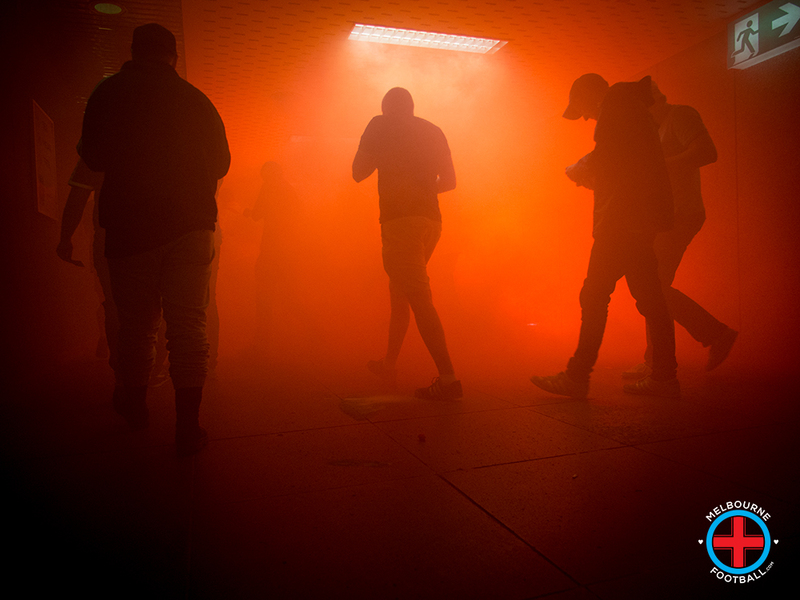 Scott outlined the current process involved in banning an attendee at A-League matches. If a person has committed an offence and is identified, police take their details at the match. 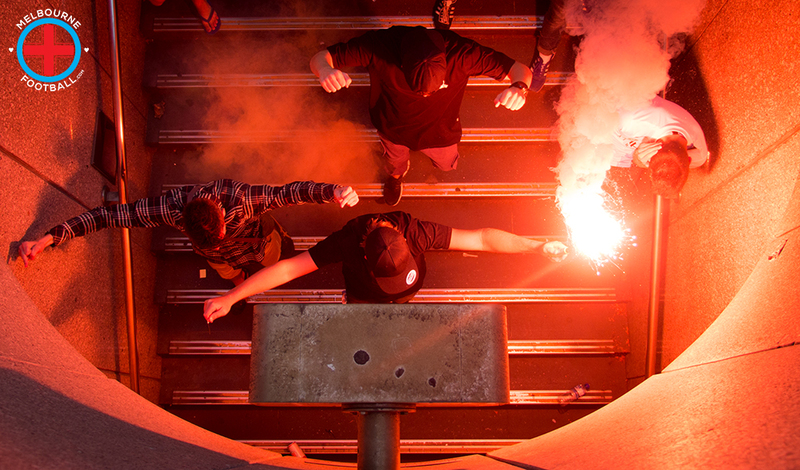 Police then make contact with a Court Order; this order is sent to the FFA, and the banning process is commenced. If a supporter can demonstrate that the offence was not committed by them, the ban is reversed. This might be achieved on the basis of CCTV footage, for example. MCFC would support the implementation of a clear, concise process, allowing fans to have their voice while restricting the attendance of those who cause difficulties. MCFC communicates regularly with Active fans, and believes that their contribution to match days is positive and extremely valuable. In response to potential boycotts, Scott advised that MCFC’s preference is that fans attend matches this weekend as they do every weekend; however, he was aware of the Active fan group’s decision to sit away from the Active area. With regard to membership, Scott acknowledged that MCFC’s membership level was low, as was the case across the A-League. Membership and on-field performance are inextricably linked, and it’s difficult to increase membership interest when match performance was not at a high level. The FFA has also not undertaken marketing of the A-League at all this season, and MCFC feel that this has contributed to a lower awareness level across the league. The Club will offer flexible membership options to attract those who may have held memberships in previous seasons. One FRG member enquired as to the possibility of utilising guest/loan players – Scott was clear that this would only be considered if the player complemented and added to the squad, and was able to stay from January until the end of the season. Some discussion was held regarding the relationship between MCFC and Manchester City FC. Scott reported that MCFC is conscious of the need for differentiation between the two Clubs, and that Manchester City FC has never been directive or prescriptive; rather, Manchester City FC invites MCFC to take ideas if they work in the Australian market, and MCFC’s approach is to utilise processes that are useful. MCFC’s 2016-2017 kit has been designed – it is predominantly white and does not feature any navy blue. It is not a shirt that has been previously worn by Manchester City FC. The away strip will still be red and white. 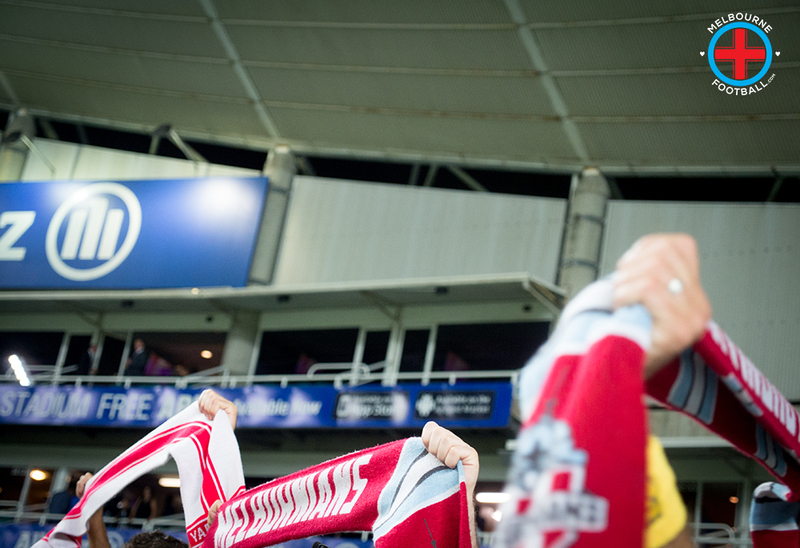 Sally expanded on information regarding membership, reporting on the three match flexi pack currently being offered – this pack exists across all membership categories, and includes the derby. This membership can also be upgraded to a full season pass. David reported on various initiatives focused on increasing fan engagement. 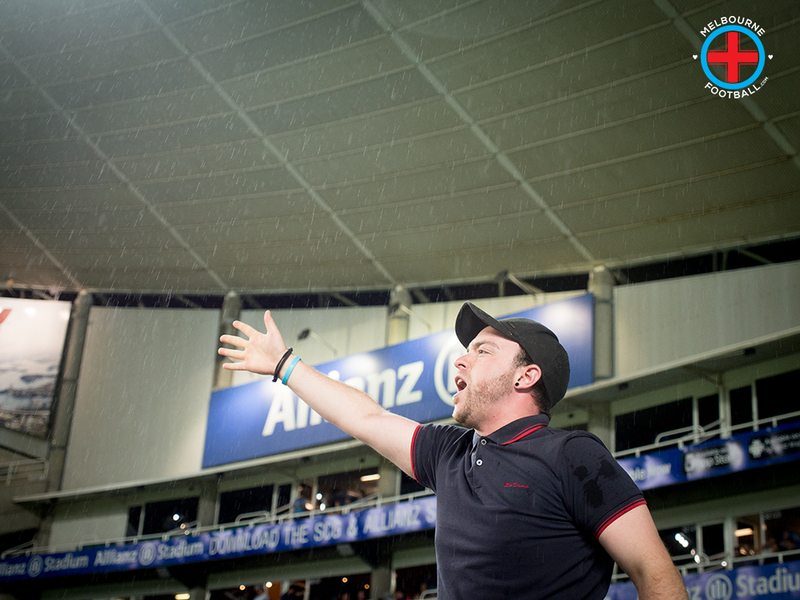 These include City Square, which is held at Gosch’s Paddock for two hours prior to kick off at every home match. 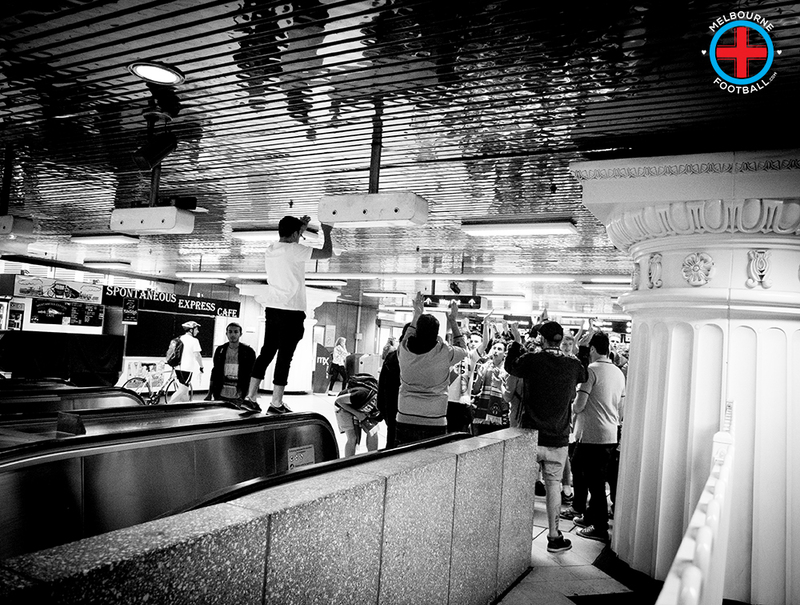 The activities and features at City Square are improving every week, and FRG members were encouraged to explore it on the next game day. The Cityzens Portal is also very active at the moment, with various opportunities to win prizes and experiences offered to members. Fans are also encouraged to sign up for City Voice, which is a medium for voicing ideas and opinions. City Voice distributes a new post every two weeks, asking fans to contribute on such processes as match day music. Individual posts will also be responded to on a weekly basis. Mel provided an update on merchandise, noting that youth jerseys will be available for pre-sale today, and pre-Christmas specials will be advertised over the coming weeks. Efforts are also being made to present the merchandise store in a more professional, user-friendly way. FRG members provided positive feedback on the new format of the newsletter. MCFC are now directing marketing campaigns to particular target groups (e.g., members who have available seats next to them, female members), and members receive slightly different information in newsletters to that received by non-members. Members and Club staff were also very positive about the success of our W-League team, and fans were encouraged to attend the next NYL/W-League double header on the 20th December 2015. One FRG member highlighted the difficult process with accessing General Admission seats for the Christmas derby; Sally confirmed that such feedback had been received by other members and this would be taken into account next season. FRG members questioned staff about the morale at the Club, given the lack of on-field success in recent weeks. Sally was clear that morale is affected by poor results, but everyone at the Club remains focused and is working hard to contribute to achieving success in the very near future. Nick Becker for the first 30 minutes of the meeting. FRG Members: Bridget, Hayden, Tony, Michael, Steve, Chris, Steve. The meeting commenced at 6.30pm and both Scott and Nick gave an update on Melbourne City before they had to leave to take part in a conference call with the City Football Group (CFG). Scott welcomed all the attendees and hoped that we had enjoyed our tour of the CFA. He commented that the club was ‘comfortable’ overall, with where we were at. The club was ‘very excited’ with the launch and success of the Women’s Team. Membership for this season was down on last year in volume – but there was a big push to encourage those who had yet to do so, to renew their membership. 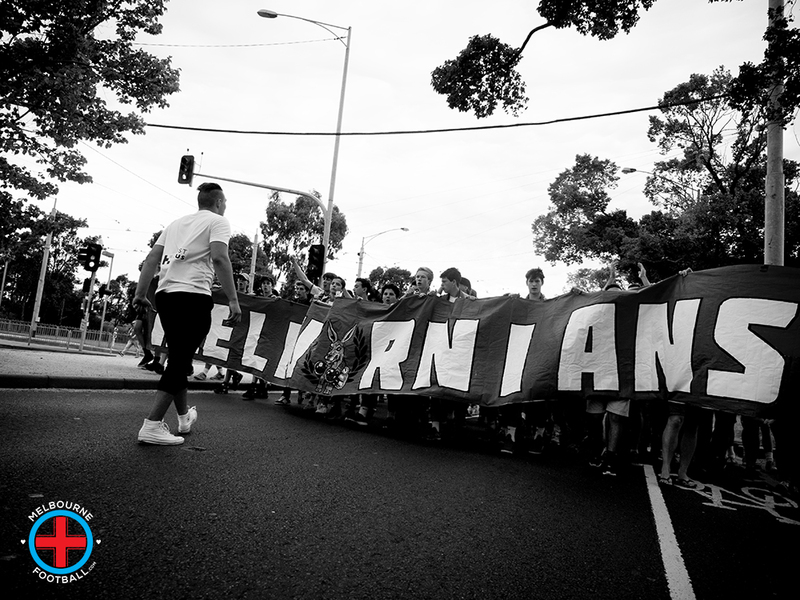 The recent win over CCM would hopefully bring in new supporters. The CFG were ‘disappointed’ with the loss in the FFA Cup semi-final. The Derby result v Melbourne Victory was also regretted, although the club was happy to give the younger players a ‘run’ in the starting eleven. The club was also looking to widen the representation in the FRG, particularly as regards gender balance. Nick commented on the developments re: the match day experience and asked for feedback from the FRG and on any matters that fans were experiencing. City Voice has been launched; future topics include goal celebrations song, catering, parking and mascots. The Member-get-Member recruitment was a good channel for new members. New top prize announced as a trip to NY for 2. Over 100 memberships were sold at our first home match; many members seem to prefer a face-to-face experience when renewing/joining. Scott and Nick then had to leave the meeting and Sally introduced her agenda, staring with membership. Membership was nearly 8,000 and there was a big push to build on this number. A four match Christmas membership pack was a possibility. Bridget asked if there could be a W-League only membership offer. With regards to the FRG, the club was looking for three new members; applications had been received and a shortlist been made. 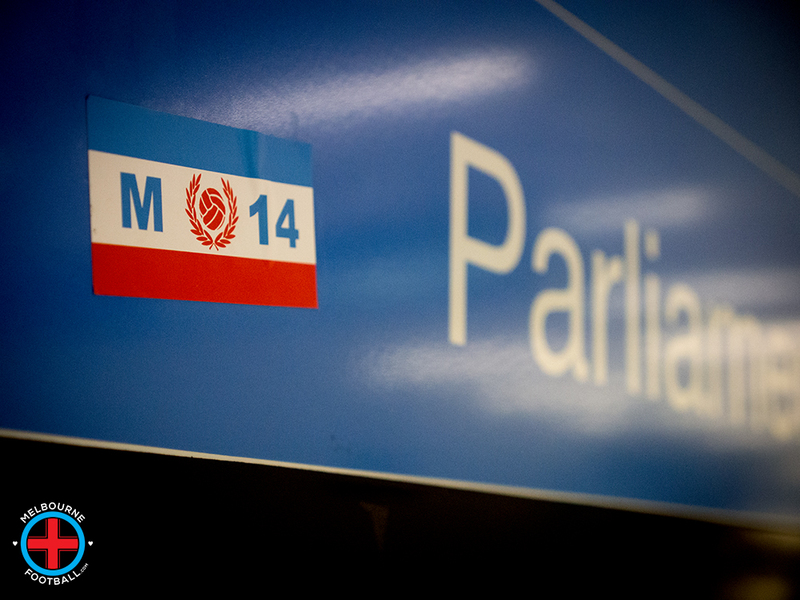 There could be further pre-meeting Tweets to canvas topics from the wider fan base for discussion at the FRG. It would not be club policy to publish the FRG minutes on the club’s web-site, but the club was keen to continue to see the minutes published in the Forum and on a Blog. FRG members would remain ‘anonymous’ with only first names being used. The club had sponsor obligations re. the kit and therefore it is not always possible to wear the red and white strip in away games and is generally used when there is a clash with our home kit. David talked about the Cityzens offering and the match day experience. 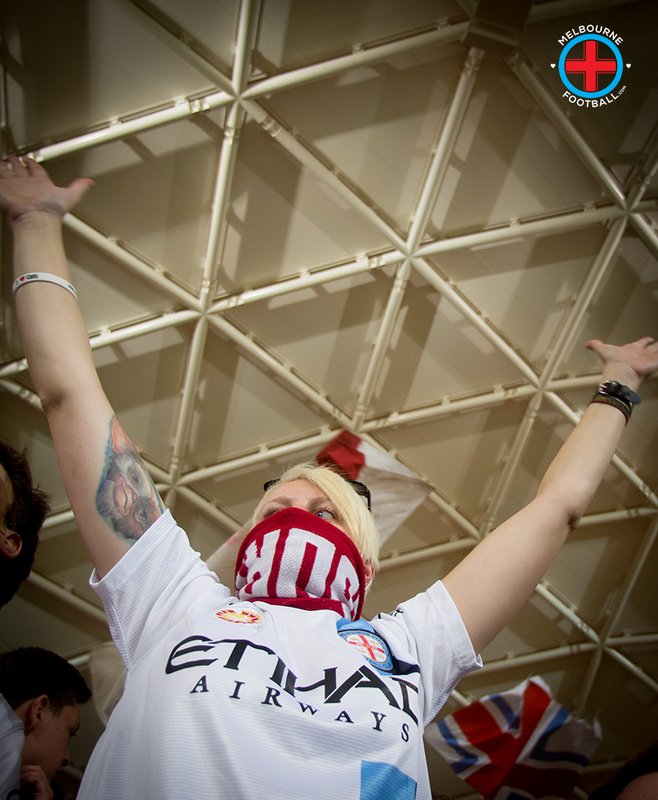 Cityzens were now getting points for their attendance at home games. The free City Insider programme has been launched. The City Square pre-match events were aimed at families with young children. Luke discussed the match day experience and how the club was striving to improve it. On screen information about substitutions; who has got yellow and red cards, etc. Entertainment both outside pre-match and inside the stadium e.g. at half-time. Melanie informed us about the club’s merchandising of ‘branded’ shirts, hats, scarfs, etc. 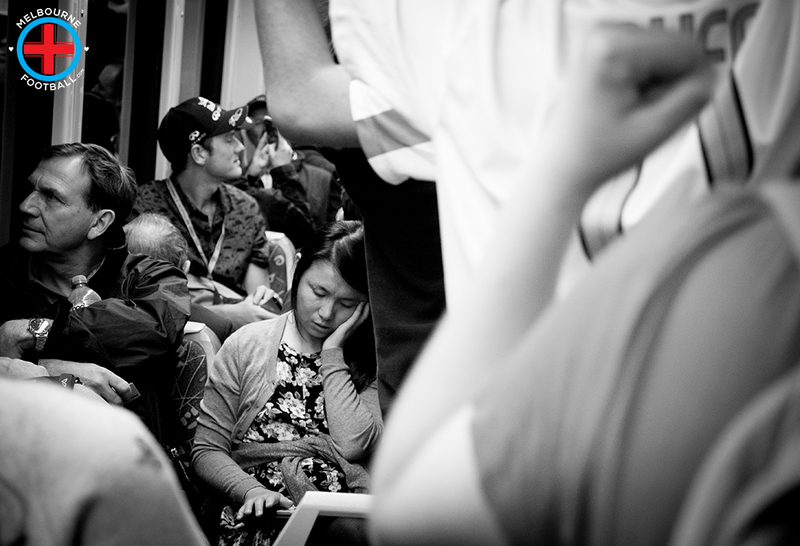 There are now 4 outlets on match days – two inside the stadium; two outside. Sales were ‘very successful’ at the CCM game on the previous Sunday. New Nike Polos and Hooded tops available for members along with a new women’s range. Junior replica jerseys are coming shortly. The meeting closed at 8.00pm – the next monthly meeting is on 26/11/15 to be held at The Imperial Hotel in Bourke Street, from 6.00pm. Club Staff: Sally Freedman, Luke Wyman, Melanie Price, David Harris. FRG Members: Bridget, Haydn, Anthony, Michael, Steve, Chris. Club Staff: Scott Munn, Nick Becker. Sally commenced the meeting by thanking the FRG members for their attendance at last month’s meeting, and by welcoming two members who were unable to attend the previous meeting, Steve and Chris, both of whom also sat on the FRG last season. Given that the FRG still requires an additional 2-3 members, Sally also advised of the plan to invite Melbourne City members to submit an application to be a part of the group. Sally also distributed fixtures for the NYL and W-League teams, noting that there are three double-headers at CB Smith Reserve. 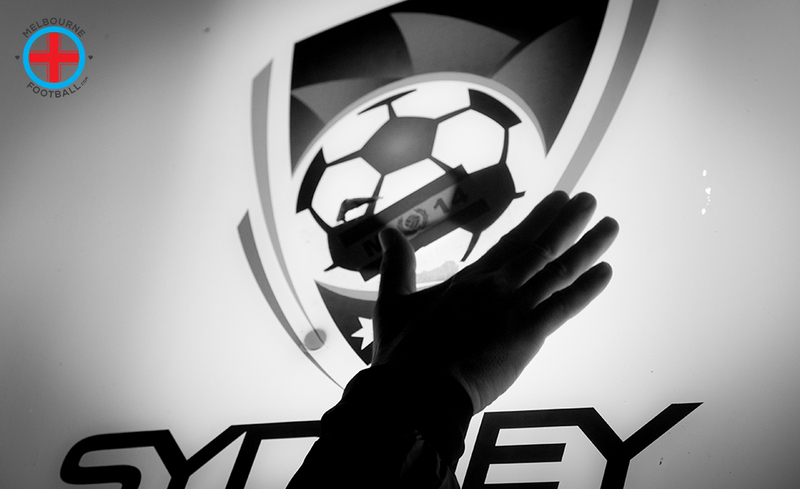 This led to discussion of the Club’s emphasis on promoting the W-League team in particular, given that other W-League teams have not garnered significant numbers in terms of regular supporters. Sally and Luke spoke about the popularity of women’s football in terms of player numbers, and the recent interest held in the FIFA Women’s World Cup this year. The Club are hoping that the W-League team will be successful on the pitch, thus stimulating interest for both male and female fans. Away Games – The Club have promoted a member’s organisation of transport to our first away game in Sydney. There are currently only six seats left on the 50-seater bus, indicating a very positive response. 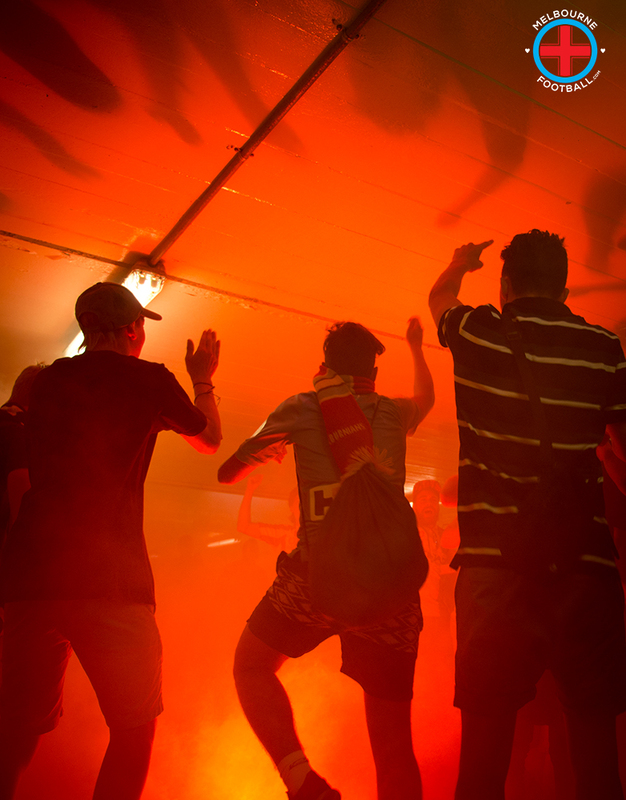 City Live – The Club’s City Live event will be held on the 12th October at NGV, commencing at 7:00pm. This will serve as an official launch of the season, and will involve the presentation of both the A-League and W-League teams, as well as other entertainment. Tickets are currently on sale for $15. Video Conference – As per the recent Club newsletter, a virtual video conference is being held on Tuesday, with John van ’t Schip, Patrick Kisnorbo, and Thomas Sorensen answering questions submitted by fans. The FRG were welcomed to submit a question, and prepared several questions to submit via FRG member, Chris. Senior Cityzens – A new community initiative entitled Senior Cityzens will be launched on Sunday at the Seniors Festival at Federation Square. This initiative aims to encourage older Australians to engage with football, both as players and spectators. Melbourne City will be involved in the promotion of Walking Football, which allows people to play football without being required to run. In addition, Melbourne City are offering seniors the opportunity to purchase a season membership for $150.00, which allows them to bring a grandchild to games for free. FRG members were very positive about this promotion. Which Player Are You? Survey – All current players have completed a 10-item questionnaire about personal interests. Members will be given the opportunity to complete the same questionnaire online; an algorithm will then be used to match members to a player, enabling members to identify the player that they are most similar to. Feedback from FRG members regarding this idea was very positive. Mid-season Member Surveys – A platform is being established to allow the Club to survey members throughout the season, rather than waiting to obtain feedback via the end-of-season Member Survey. Surveys will focus on varying issues that affect members, such as match day experience, social media, etc. Again, FRG members felt that this would be a useful way of allowing the Club to make improvements during the season, without delay. Memberships – Membership packs are currently being posted, with some members having already received theirs – one FRG member showed his personalised membership card, which all were very impressed by! The personalised option has been very widely embraced, with over 1000 members choosing to personalise their cards. Other A-League clubs have also been impressed by the process and have asked for information on how they may able to emulate it. A question was asked as to whether some members might have avoided personalising so they can continue to share memberships with family/friends; Mel assured all that memberships were transferable and this had hopefully not deterred members. Merchandise – Nike supporter apparel, including media polo shirts and hoodies, will be arriving before the start of the season. The Home jersey has been altered slightly, and the Away jersey is now manufactured using better material – both are now available for purchase. Jerseys will also be available in junior sizes this year, hopefully just after Round 1 or 2. FRG members were very positive about this. Discussion was then held about the recent Family Day, which two FRG members attended. Feedback was very positive, both by FRG and on the supporters’ online forum, particularly in regards to the accessibility of players, the signing sheet that was available, and the engagement of sponsors with fans. 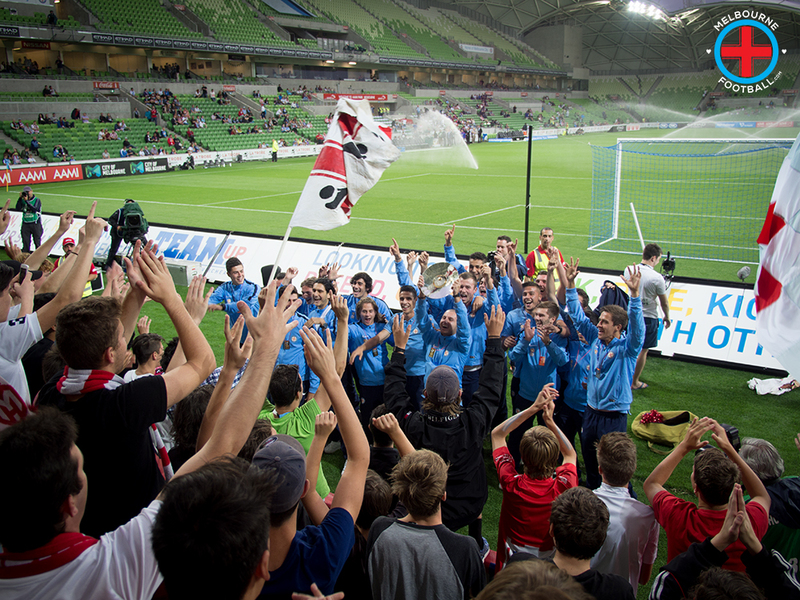 In terms of negative feedback, one member noted that the PA was difficult to hear when players were announced, and another noted that while the CFA venue is a very impressive site, it is a difficult location to access for supporters that live in other areas of Melbourne (e.g., south-eastern suburbs), and thus a more central location might be considered in future. One FRG member noted that the players seem more focussed and determined in their attitude, which is great to see. Each FRG member was also asked to nominate something about Melbourne City that they would like to improve. 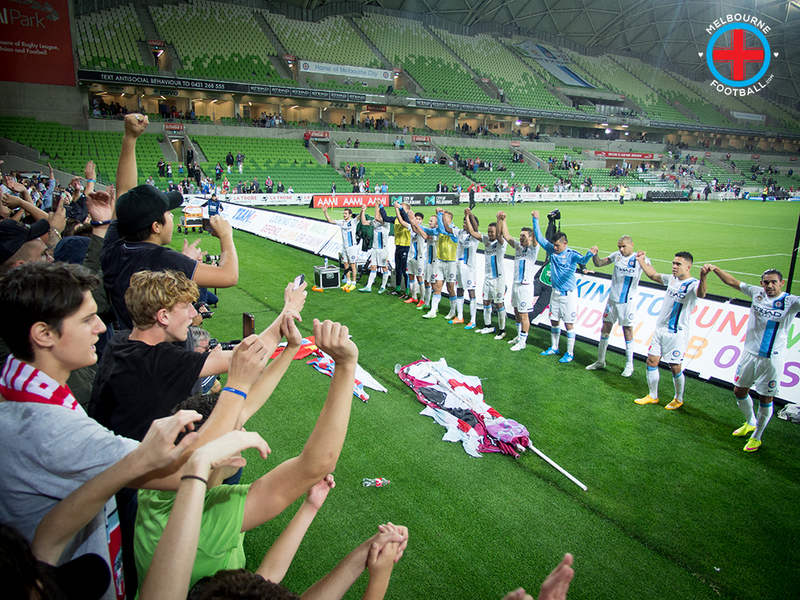 In terms of match day experience, one member noted that the catering at AAMI Park remains problematic – options are often limited and expensive. 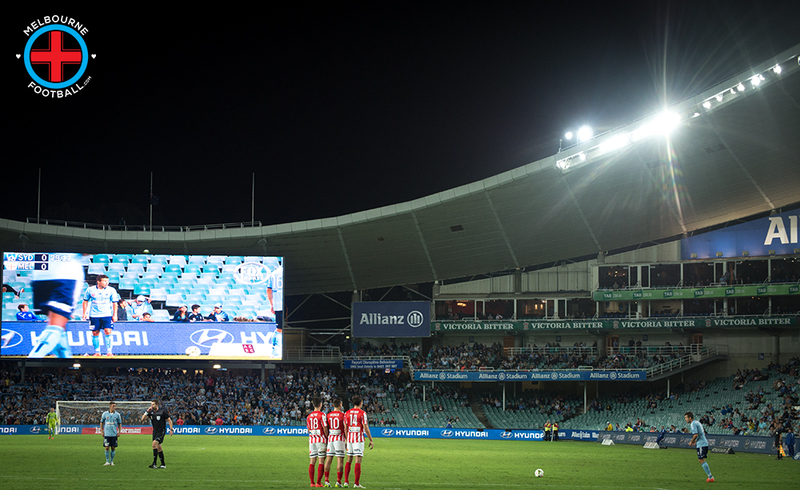 It was observed that catering was particularly poor at the recent FFA Cup fixture; Luke reported that the catering company apologised for this on the day following the match, acknowledging that they hadn’t accurately predicted attendance numbers. Another FRG member felt that the half-time entertainment was still not appealing enough. Although it has improved considerably in the last two seasons, it is often too loud, thus impeding conversation, and it can be difficult to determine what is actually happening. Suggestions were made for improvement, including more junior small-sided football games, and involvement of W-League and injured A-League players. Another member suggested that the pre-match entertainment might feature video footage of matches/highlights of other City Football Group teams such as Manchester City and New York City. 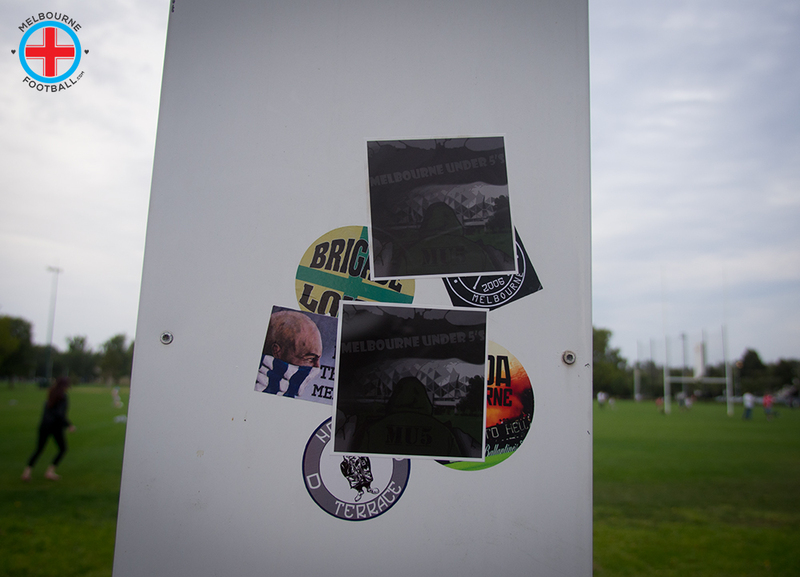 Concern was expressed about whether this might alienate Melbourne City fans who are supporters of other English Premier League or Major League Soccer teams. It was determined that footage of NYL or W-League matches might be more appealing. One FRG member asked whether the Club could tweet information about parking on match days; for example, it would be useful to know if the MCG carpark is closed. Club staff will look into this. Discussion was held about the new arrangements for General Admission memberships, as the Yarra River end of AAMI Park now comprises entirely of reserved seating (Premium C memberships). This means that non-members can purchase Premium C tickets on any match day, but these will not necessarily be allocated next to the reserved seat of members. All Premium C members can sit at the North end, where seats are not allocated, in such instances. Finally, a brief discussion was held about the communication of the FRG’s meetings and minutes. It was agreed that minutes would continue to be posted on the supporters’ forum, but consideration would be given to minutes also being posted on the Melbourne City website, or the FRG creating their own website. It was also agreed that the Club would tweet details of each FRG meeting to allow members to contribute questions or suggestions beforehand. 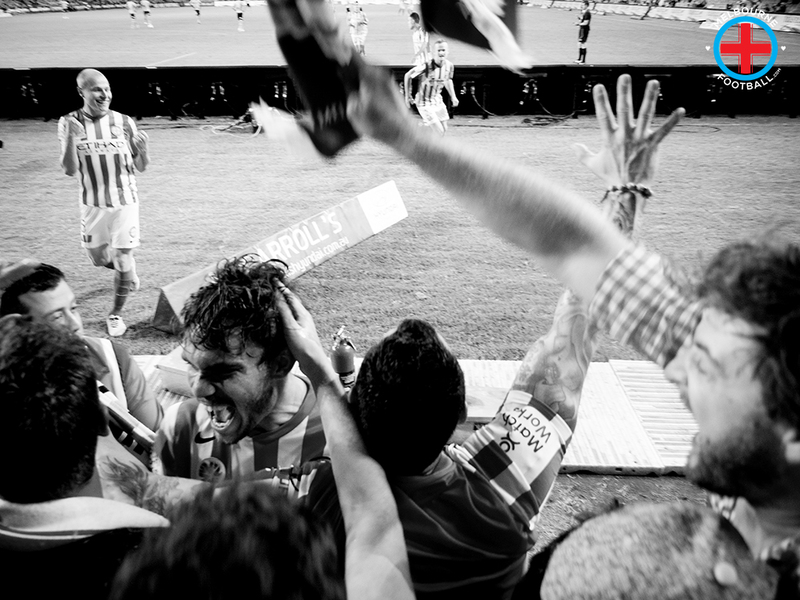 On paper things have never looked better for Melbourne City (or Melbourne Heart) going into a season. Absolutely first class training facilities, two quality A-League players for each position, the club’s superstar Aaron Mooy re-signed on a long term contract, and good foreign players including a very promising striker. But on the pitch as well, during pre-season, things have never looked better before a season. Melbourne City smashed fellow 2014-15 A-League finalists Wellington Phoenix 5-1 in competitive play in the FFA Cup, and followed up with a good 5-0 win against NPL side Heidelberg United to make the FFA Cup semi-finals (streets ahead of last season’s round 32 FFA Cup exit). Aaron Mooy – The kid is ready to take the A-League by the scruff of the neck, and become far and away the A-League’s best Australian player, with Milligan and Burns having departed the scene. He is already dominating the FFA Cup, being the competition’s top scorer with 6 goals (the next best A-League players, such as Berisha, and City’s own Bruno Fornaroli, have 3), and there’s no reason to think he won’t dominate the A-League again this season. Melbourne City will just have to make sure Mooy isn’t a one-man band again, and have some other players step up this season. Robert Koren – The club’s other marquee looks set to produce after a consistent and eye-catching pre-season. During pre-season Koren got on the scoresheet, provided assist after assist, and started to show real class by linking up superbly with Aaron Mooy and Bruno Fornaroli in particular. Now that Koren is fit and is nearly always playing in his preferred number 10 position, due to Melbourne City strengthening in the striker and winger positions (where Koren all too often played as a stop-gap last season), the Slovenian star looks set for a much more influential season this time around. A multitude of attacking options – If Melbourne City can field all of its best attacking options, namely Fornaroli, Novillo, Gameiro, Koren and Mooy all at once, with Zullo and Franjic supporting attacks from the fullback positions, Melbourne City possesses an absolutely devastating number of attacking options. Even half of these attackers should be able to regularly breach A-League defences, especially with 2nd string attacking options like Kuzmanovski, Dekker and Williams occasionally chipping in. Given that Melbourne City produced the most shots last season, with 11.4 shots averaged per game, maybe this is the season where Melbourne City can consistently produce goals. With the stellar service that City’s attackers look set to receive from players like Mooy and Koren, all the ingredients seem there this season for Melbourne City’s attack to truly fire. Competition, experience and winners all over the park – How many A-League teams have a Premier League great justifiably starting on the bench? That’s what Melbourne City could have this season, with EPL great Thomas Sorensen in fierce competition with Tando Velaphi to be the team’s starting goalkeeper. And this situation is indicative of the fierce competition across the team for places, with two quality players by A-League standards for every position. Also, the team features a mind-blowing amount of experience, with Sorensen and Aaron Hughes both having played in over 400 Premier League games each. Furthermore, Aaron Mooy, Erik Paartalu and Ivan Franjic have all won silverware in the A-League before. So altogether Melbourne City should have the playing list to be successful in games and to have a successful season. Injuries – Seemingly always an issue, the team has multiple players unavailable due to injury, with the latest reports naming James Brown, Marc Marino, Ivan Franjic, Harry Novillo, Corey Gameiro and Ben Garuccio sidelined. And whilst there can be zero excuses for Melbourne City this season, every A-League team would rather have no injury list or a short injury list instead of several injured players, especially since A-League clubs can only have rosters of 23 players. John van’t Schip – There is no debate over this point: this season is make or break for John van’t Schip. This season will likely define JVS’ whole A-League career, with his job certainly on the line if he can’t produce a successful season. The winning percentages don’t look good for JVS: 2010-11 season – 26.67%, 2011-12 season – 32.14%, 2013-14 season – 40%, 2014-15 season – 34.48%. One interesting point to note is that JVS has topped the league for draws in 2010-11 with 11 draws, 2014-15 with 8 draws, and he had the 2nd most draws in 2011-12 with 10 draws. So his teams haven’t been losing a lot, but they haven’t been winning a lot either. This season JVS must turn those draws to wins to have a successful season, keep his job and keep the demanding new ownership group, The City Football Group, happy. Overall the above is just a handful of big stories set to make Melbourne City’s 2015-16 season full of interest. And there will undoubtedly be many more starring players and important stories this season. With the City Football Group bringing together so much promising ingredients this season the question is: how good can this season be? Club Staff: Scott Munn, Sally Freedman, Luke Wyman, Melanie Price, David Harris, Nick Becker. FRG Members: Bridget, Haydn, Anthony, Michael. The evening began with a tour of the CFA, which was terrific, and as fanatics of the club we really appreciated the opportunity to experience a ‘behind the scenes’ look at the new facilities. The meeting opened with Scott Munn thanking the FRG for their efforts to date. This was followed by introductions to the new / key Melbourne City staff. Sally has spent time in Brisbane and is originally from the UK. Sally grew up with the game and loves it, played it and has travelled as a fan to two world cups. Sally previously worked for AFC Asian Cup as Protocol Manager (VIP and VVIP management), but is very happy to now be working with fans. This is Luke’s third season with the club. Luke focuses on match day operations for the A league, W league and NYL. Luke is also responsible for the organisation and implementation of events such as Family Day and City Live. This is Melanie’s fourth season with the club. Melanie assists with fan engagement and also runs the online merchandise platform alongside retail on match day. David recently started at the club after winning the Mission Cityzen competition. He’s gone from being a fan to the other side of the fence and feels like he’s won the “golden ticket”. David is responsible for the Cityzens rewards program as well as the new project “City Voice;” a digital platform empowering the fans to help shape the club. Football is his life and passion. Nick is originally from New Zealand and has recently relocated to Melbourne from the UK. Nick previously worked at Manchester City as Head of Events for four years and Arsenal before that. His mission is to keep fans at the forefront of all club activities. Members of the FRG were then given the opportunity to introduce themselves to the new staff and discussed why they chose to be Melbourne City fans. One member brought the good news of a second child on the way and therefore growing the Melbourne City membership base! It was also raised that the recent Membership day on radio station SEN 1116 for the club was a great way to raise the club’s profile. An interview with Harry Novillo was particularly entertaining, where we got an insight about his background, personality and ambitions going forward. It was suggested that such ‘structured’ interviews could be useful during player functions as a way to get to know our players better. The upcoming Family Day was mentioned as a good example of the club’s efforts to encourage fan engagement with players. A couple of the group members were inquiring about the Melbourne City Women’s team, asking for details such as when the W-League fixture would be available. 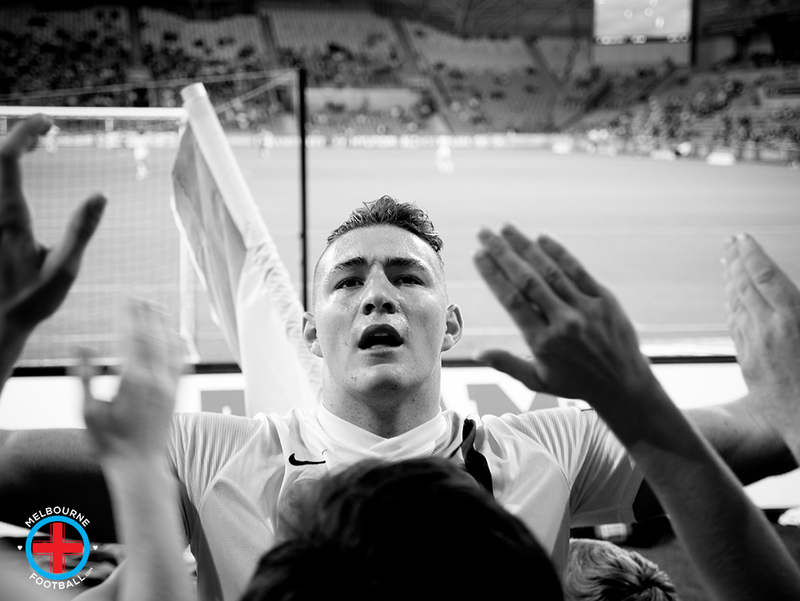 This has since been released and can be found on the Melbourne City website here. As of writing this, the venue for home games will be the C.B Smith Reserve in Fawkner. On the 25th of October 2 pm there will be a “Broadcast” game against the Victory women at AAMI Park prior to the men’s side against the Mariners at 5 pm. We‘ve also found out that the club’s W-League and National Youth League games will be billed as double headers. 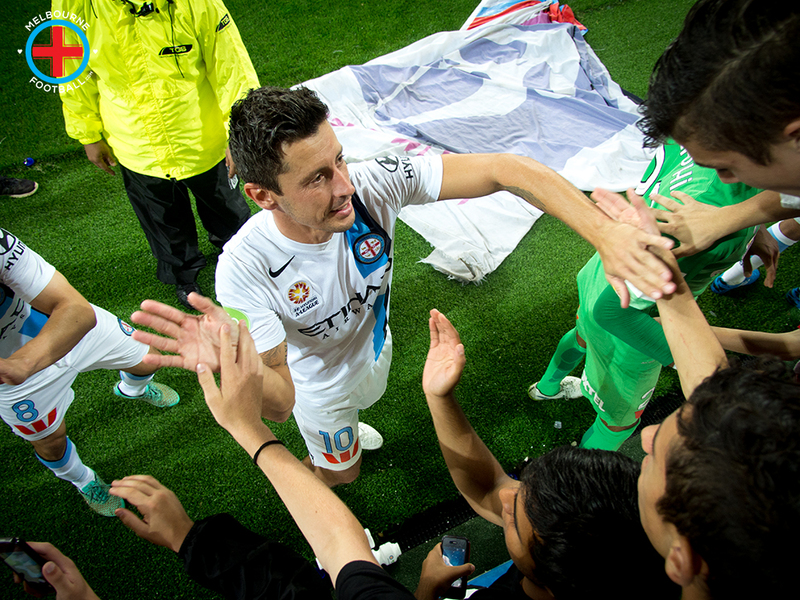 With Melbourne City memberships also allowing you free entry to these games there’s even more incentive to join! 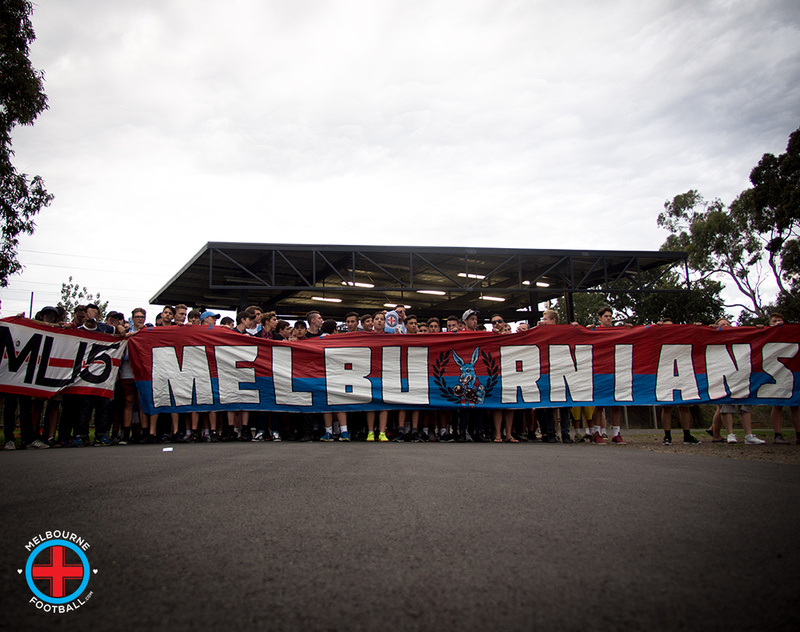 One of the FRG members made a great point that they became a fan as we had the “choice” between Melbourne clubs in the A-League. It was noted that the club has progressively grown and improved as a “female friendly” and “safe / fun” environment for families. There’s even a feel amongst FRG members from Australian Rules backgrounds that coming to a Melbourne City game in comparison is a more enjoyable and social experience. Our club membership drive expectations were discussed. Presently, the club’s target is to match last season’s total by round 1. In regards to away games – if fans make their own arrangements for travelling support events, the club is more than happy to promote the event on social media as well as share partners discounts. The absence of a club mascot was once again brought up and we were informed that it’s been a work in progress over the last 6 months. What we can reveal is that there will be more than one mascot and rest assured it won’t be a clone of the Manchester City Aliens! Marketing and promotion of the club this preseason is felt within the FRG to have taken a step toward greater professionalism. There was also a comment that the football department was making great decisions and tough calls with the playing list. This season’s playing group looks spot on with a healthy balance of youth and experienced but fit players. In fact, the club is starting to become really ambitious in its hunt for success! 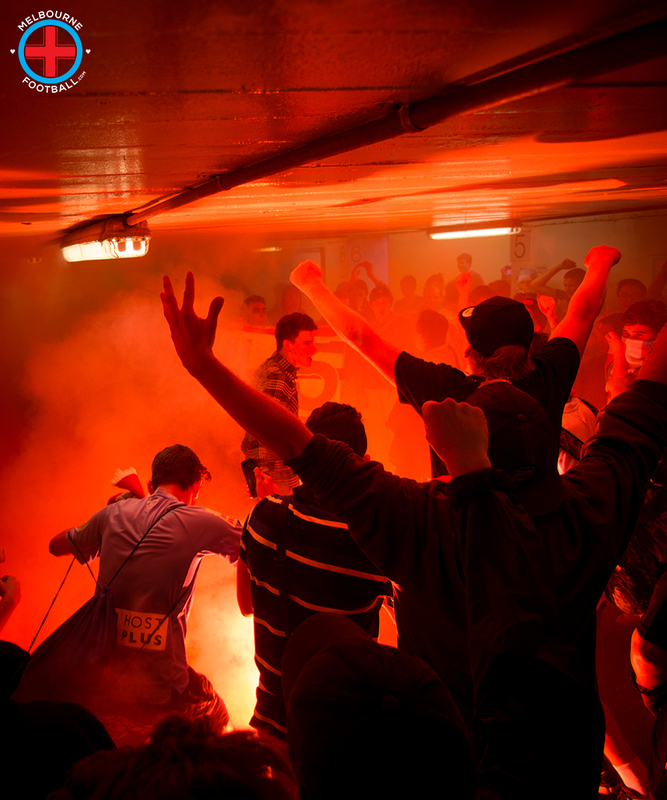 This is our City! Melbourne City’s fixtures for the upcoming season have been released. We travel away to Sydney FC for round 1, an away derby awaits us in round 2, and our first home match is in round 3 against Central Coast Mariners. We’ve also prepared a CSV version of the fixtures that you may download. Mooy just about won the Melbourne Football player of the season award after the first third of the season, with Mooy being voted Man of the Match 7 times over the first 9 games, which is simply incredible stuff from a new player in his first season. And Mooy would go on to be voted Man of the Match for half of Melbourne City’s 27 games over the regular season, with Mooy’s truly outstanding efforts on the pitch being acknowledged by Melbourne City supporters week after week. And it wasn’t just Melbourne City supporters giving Mooy high praise, with Fox Sports naming Mooy their player of the season with the Alex Tobin Award, and SBS likewise naming Mooy their player of the season with Mooy winning the Les Murray Medal. Ange Postecoglou also recognised Mooy’s fantastic season by calling him up to the Socceroos squad to face World Champions Germany, where Mooy got a 21 minute run-out as the Socceroos drew 2-2 with the World Champs, and by playing Mooy for most of the Socceroos following match against Macedonia. So with Mooy featuring significantly in the Socceroos most recent matches, he looks set to feature in Socceroos matches going forward. With Mooy having such an amazing 2014-15 season, the “MCFC” on the team badge might as well stand for “Mooy City Football Club”, as he has been the heart of the team. And all Melbourne City supporters are keen to see Mooy starring in the team jersey again next season. Tando Velaphi didn’t exactly join the club with much fanfare when he signed up as the club’s no 2 goalkeeper in the 2013-14 season. However Velaphi has shown himself to be an extremely dedicated player and an extremely hard worker, making the most of all chances that have come his way to earn another 1 year deal for the 2014-15 season, and then to without doubt become the club’s no 1 goalkeeper from round 9 (the December 1-0 home win against Brisbane) onwards. Velaphi obtained the equal most clean sheets in the league with 9 alongside Janjetovic of Sydney FC, despite the fact that Janjetovic had 10 more starts than Velaphi. Hence Velaphi averaged the highest percentage of clean sheets in the league out of all the no 1 keepers, with 47.37% clean sheets kept (9 clean sheets over 19 games). All up Velaphi deservedly claims Melbourne Football’s no 2 player of the season accolade, due to the remarkably safe and consistent presence Velaphi was in goal over the season. And there’s no question now that Velaphi is a widely praised fan favourite. Donning the captain’s armband for the 2014-15 season at the club, Kisnorbo was a real rock at the back and provided invaluable leadership throughout the season. The only player to play every second of Melbourne City’s 29 games this season, Kisnorbo lead the team from the back and was a positive ever-present in the team. In particular his experience and his willingness to give his all for the team, often putting his body on the line, was a first class example to the other players of commitment and loyalty to the team and the club. Kisnorbo stepped up when it really mattered, garnering 4 Man of the Match awards over the last 11 matches of the season and Melbourne City’s 2 finals matches. He also topped the league in clearances with 191, 20 more than the next best defender. So the captain deservedly rounds out Melbourne Football’s top 3 players of the season, with Kisnorbo providing real leadership and commitment that is most welcome at the club. 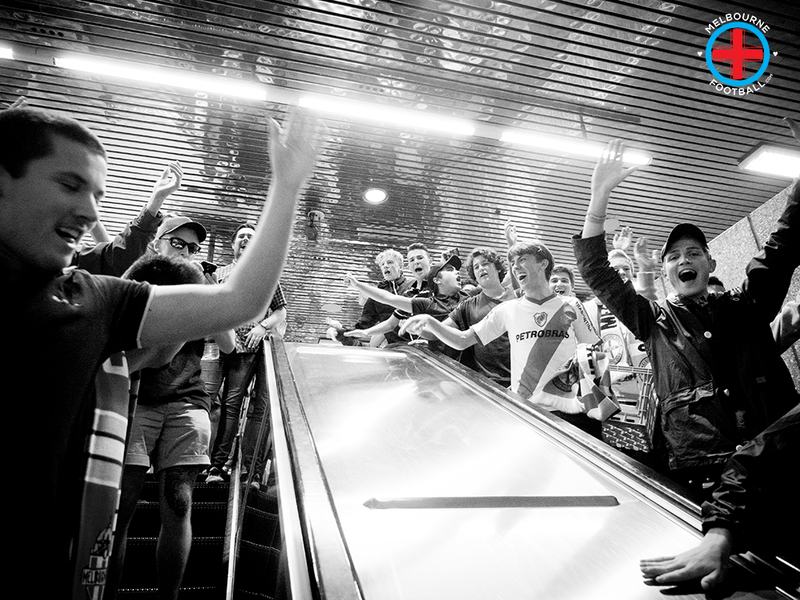 With a particular sense of buzz and anticipation ahead of the Round 10 (rescheduled) away kick off with WSW, Melbourne City FC’s Fan Representative Group came together at The Imperial Hotel – the first time the regular meetings have been scheduled at this venue – to openly discuss the culture of the Club which has instilled and developed throughout the duration of the season. One of the first noteworthy comments was the keyword ‘transition’ which sums up the branding change from Melbourne Heart to Melbourne City FC and the feeling of the supporter base. Key to the discussion was the debate on the importance of winning now that the club has a new ownership, and the expectation that comes with the new resources at the club’s disposal. Further to this transition phase, fans are still trying to understand the new City brand. 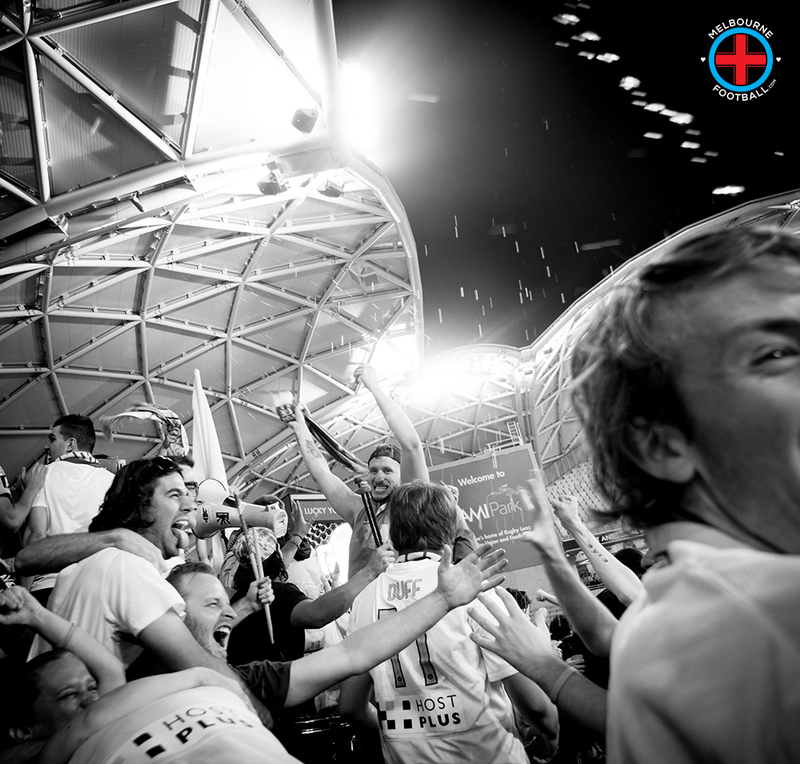 Questions such as ‘Who are we?’ and ‘What do we stand for?’ are surprisingly still being raised by the representative group at the back-end of Season 1 for Melbourne City FC, prompting greater efforts of Melbourne City to be rolled out in engaging members and new fans with the shared values and pillars of City Football Group (CFG). Members, supporters and prospects hence require clear visibility of the Club’s stance, intended brand of football, community strategy and suggested ‘brand book’ in order to ensure culture of City is engrained leading forward. The topic of CFG also raised further enquiry into the benefits globally. What opportunities are being shared to members such as tickets to Manchester matches and Etihad flight discounts just to name a few? One attendee proposed that Melbourne City uses this selling point to drive differentiation from other HAL clubs as to date the Club had not been doing anything significantly better in comparison. In light of the CFG relationship and football in particular, the consensus of those in attendance at the FRG meeting is the perceived status of Melbourne City as a feeder club for MCFC & NYCFC merely being an option far down the ladder to play in Australia, or keep players fit (Villa / Lampard) prior to overseas seasons. It was agreed that the drive for Hyundai A-League success for Melbourne City FC was integral and needed to be transparent. Fans generally sense that the results to date for Melbourne City under the CFG influence have not translated with the increased resources available and one particular comment noted that ‘the inconsistency of play is demoralising’ in relation to player fitness, squad selection and standard of football on display. JVS as coach was also openly discussed in regards to his media presence and how his statements reflect on the culture of Melbourne City as a Club and the underlying messages which are relayed to the general public. Fans recognised that JVS has only recently begun to accept responsibility for the team performance and average lack of results. Discussion further evolved to fans request for clearer visibility on HAL finals position objectives from the Club and whether the ethos of mediocracy into top 6 was enough to continue the drive forward. Should the club be communicating a stronger message and intention for a top 4 finish in future? Positive feedback was shared on the Brian Marwood article published however, fans bought to attention the mention of a Manchester City player, James Horsfield, currently training with the Melbourne City squad and would prefer articles of interest be announced via the Club EDM. 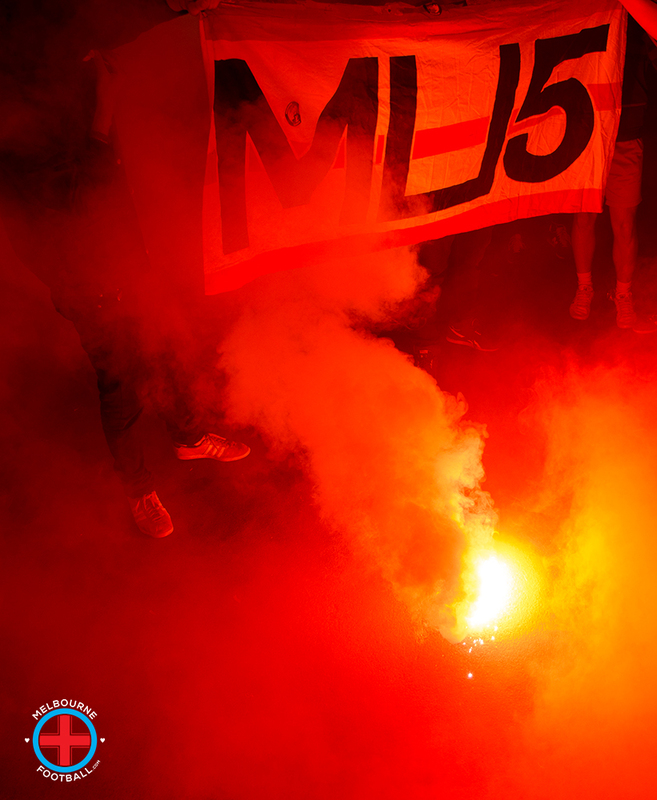 On the topic of Club generated communication, fans also questioned the absence of a targeted marketing campaign. Previous Heart taglines including Believe were rolled out in various engaging concepts across interactions encouraging supporters of the Club to interpret and remain involved throughout the entire season. General understanding from the fan base is that #together was used unenthusiastically and inconsistently in City messaging and leading forward, an aligned campaign should continue digitally and physically in a stronger engagement capacity both online and on match-day. 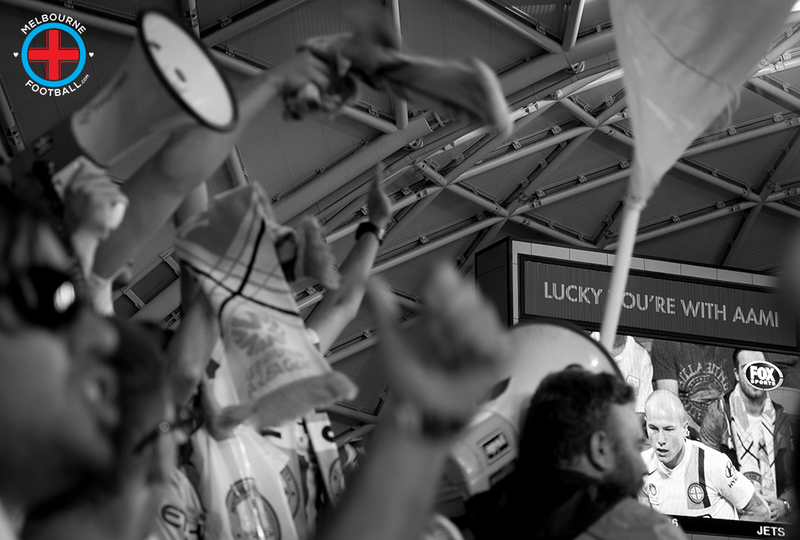 Fan engagement initiatives and partner activations were further highlighted as more involving and present at AAMI Park for participants which the Club can credit as a positive step towards satisfaction of the match-day experience. Continuing to improve these aspects will no doubt increase the average crowd attendance which fans identify has recently been significantly lower than the beginning of season and in reflection can be attributed to team performance. Interactions with juniors of the Club brand and match-day experience as a concentration for the Club to focus on in growing our member and supporter base was furthermore noteworthy as was maximising the value of a football specific home stadium. Conversation at this point switched to the Asian Cup and accrued inventory of the player benches. Premium reserved members in the western stand have offered uplifting feedback on the aesthetics of the benches and thankfully not felt that their view of the match has been obscured since inception of the structures. The question was also raised as to whether it was the Asian Cup break in the middle of the HAL season which altered attendances and affected the momentum related to overall fan allegiances? 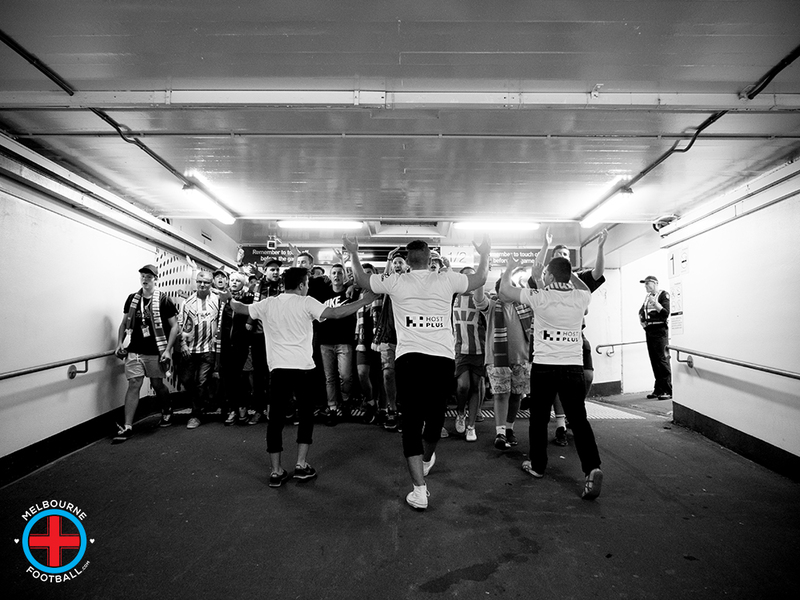 Photos from the home game against Adelaide United played on the 20th of March 2015 at Allianz Stadium. 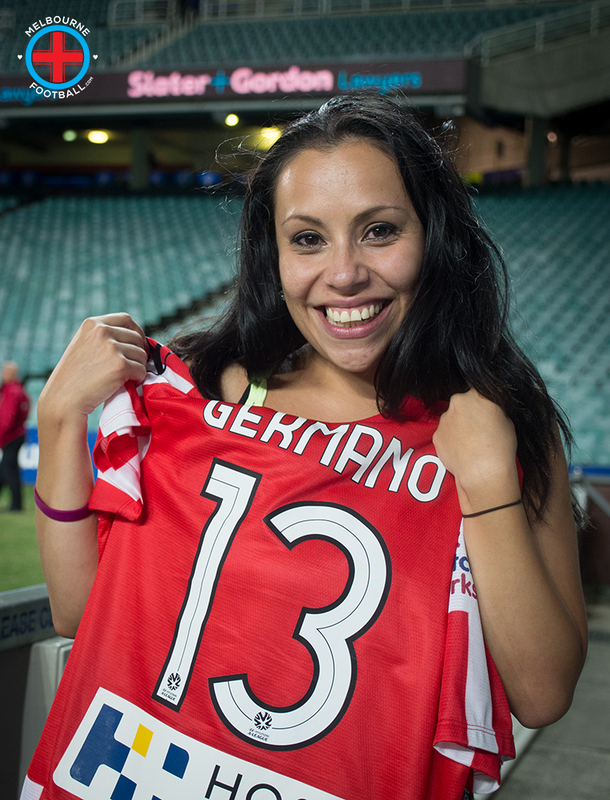 Photos from the home game against Newcastle Jets played on the 14th of March 2015.